Seminar on "Sales & Marketing Practices for Hotels & Restaurants", on Tuesday, 23rd April, 2019 at " Hotel Marine Plaza", Mumbai. I am pleased to inform you that a Seminar on “Sales & Marketing Practices for Hotels & Restaurants”, will be held at the Hotel Marine Plaza, Mumbai, on Tuesday, 23rd April, 2019 from 3pm to 6pm followed by hi-tea. To address the participants, the Association has invited two prominent speakers……..
Mr. Karan Godhwani, who is the Director of Sales and Marketing with “Vivanta by Taj President”, Mumbai, has been actively associated with the Hospitality Industry for approximately two decades and was also associated with Starwood and the Leela Group of Hotels. Mr. Rohan Mehta, CEO, Social Kinnect, Mumbai, started Social Kinnect from scratch and in a span of seven years, grew it to one of India's largest independent digital agencies. Mr. Rohan Mehta is a great mentor to colleagues, businesses, and students, who have a keen interest in Digital Marketing. Most of marketing’s early adopters have already witnessed how marketing can enhance their Hotels & Restaurants awareness, improve guest relations and create engaged brand advocates. Marketing quickly caught fire, continues to rapidly evolve, and has become one of the most exciting, and quite frankly the most important, media avenues for Hotel & Restaurants marketers to pursue. It is the way we do business today and for the foreseeable future. Whether being used primarily for consumption, or to book a hotel reservation, marketing’s role in our society has reached a turning point. Going forward it will become increasingly important for marketers to monitor developments, disruptions and patterns within the realm of mobile marketing, if they are to stay ahead of the curve. To defray the expenses of organizing the Seminar, a token contribution of Rs. 1180/- all-inclusive for HRAWI Members and Rs. 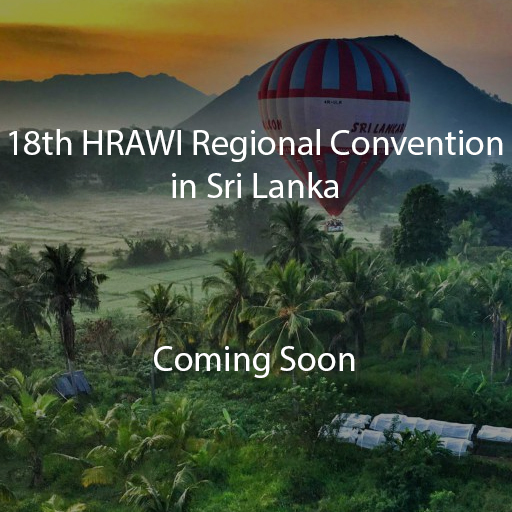 1480/- all-inclusive for Non – HRAWI Members is payable. Attached herewith, is the Registration form and I request you, to please do register and depute your personnel, for this Seminar, which will be of great value to your organization. I look forward to your immediate registration, since the number of participants for the Seminar is restricted to 40 participants only. 4, Candy House, 1st floor, Mandlik Road, Colaba, Mumbai 400 001.